The mummified bodies that are dated back hundreds of year’s usually relatively common news. 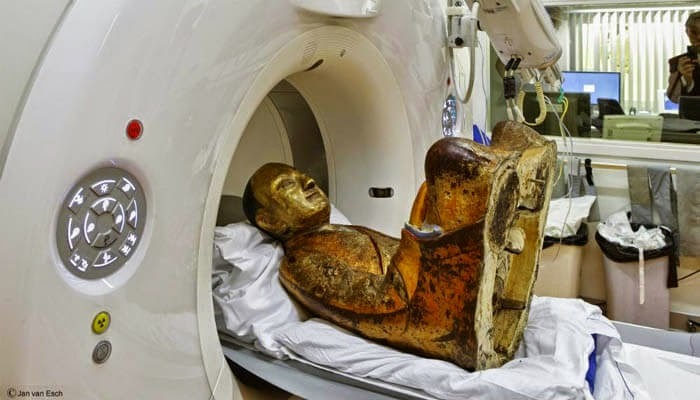 However, scientific researchers of the Meander Medisch Centrum (MMC) of the Netherlands have been with an unexpected find, an ancient Chinese statue of Buddha, hiding inside a mummy of approximately 1,000 years old. The statue was being exhibited since 1996 at the Museum of Drenthe, and the recent discovery was unveiled through the MMC official site. 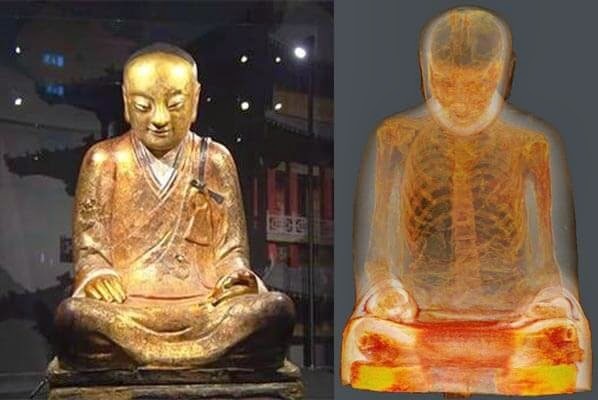 The discovery took place in the last year when experts analyzed the Buddha sculpture through a CT scan which was carried out over its entire surface, after they found content that was similar to two small pillows placed beneath the statues' knees. According to experts in radiology, Raynald Vermeijden and Ben Heggelman, the text found with the mummy suggests the mummy belongs to Buddhist master Liu Quan, a member of the Chinese Meditation School. It is estimated that who lived during the 11th or 12th century in China. 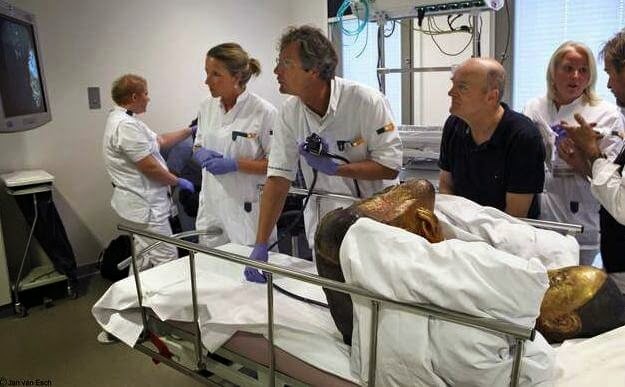 Currently, the remains are being investigated in detail by Vermeijden, who-under the supervision of the National Museum of the country claims to be using the latest technology to examine their thoracic and abdominal cavities. In this regard, the expert has already been confirmed that Liu Quan's internal organs had been removed and replaced with an unidentified material and small papers written in Chinese.